The Picture of Dorian Gray was published in 1891 as a full novel and serialized in Lippincott’s Magazine in 1890. Oscar Wilde first began writing this story after having dinner at the Langham Hotel in London on August 30, 1889 with the American editor of Lippincott’s and Sir Arthur Conan Doyle (this meeting also spawned Doyle’s The Sign of Four). Dorian Gray contains many of Wilde’s most famous epigrams. It’s helpful for me to view Dorian Gray as a major part of the gothic tradition. In her chapter “The Victorian Gothic and Gender” in The Edinburgh Companion to the Victorian Gothic, Carol Margaret Davison argues that there are clear instances of homosexual panic present in many fin -de-siècle Victorian gothic texts, including Dorian Gray, which feature a “dreaded queer monster who threatens sexual ‘conversion,’ hysteria, and even death” that is typically male (136). Dorian Gray takes on an early Victorian form in that it displays society’s role in creating the monster, arguing that the repressive and hypocritical nature of Victorian England yields gentleman-criminals like Dorian, who are forced to live a double life in response to the criminalization of homosexuality (137). Glennis Byron’s chapter in the Blackwell’s Companion to the Gothic, “Gothic in the 1890’s,” points out two gothic features within Dorian Gray: first, Wilde does an excellent job of painting a very gothic depiction of London (“…as Wilde’s Dorian Gray explores the East End, he wanders through ‘dimly-lit streets, past gaunt black-shadowed archways and evil-looking houses’ to be confronted by ‘grotesque children’ and assaulted by harsh women and cursing drunkards, chattering like ‘monstrous apes. '” (134)), allowing Wilde to reimagine the gothic within the urban setting; secondly, that repressive forces within society yield monsters through “the primacy of unconscious forces” that are released and made monstrous as a result of repression (137-38). Like the seduction narratives that I have on my American list, a woman’s reputation is first destroyed just prior to her ultimate death. 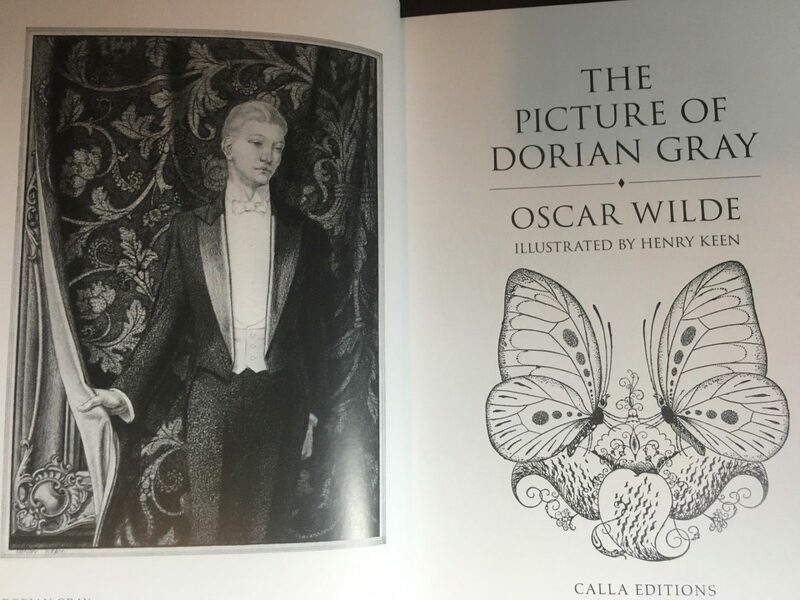 Dorian Gray becomes a sort of “homme-fatale,” to use Carol Margaret Davison’s term, after breaking the heart of Sibyl and damaging her future marriage prospects- others knew of her engagement and she is now rendered unable to fall in love again, her expectations are too high. She immediately commits suicide by drinking something poisonous, but this is done off-stage so to speak, and the reader only has Lord Henry’s and Dorian’s understandings of her death to go off of. Both view this death as a sort of theatrical performance and Lord Henry even states that she drank “some dreadful thing they use at theaters” in order to kill herself. Her death is also directly tied to Dorian’s rejection and Dorian laments that “I have murdered Sibyl Vane” while Lord Henry celebrates it as something wonderful that Sibyl “did for” Dorian. The Picture of Dorian Gray (1891) by Caitlin Duffy is licensed under a Creative Commons Attribution-ShareAlike 4.0 International License.